Making the unseen seen is the theme of this dynamic tapestry. 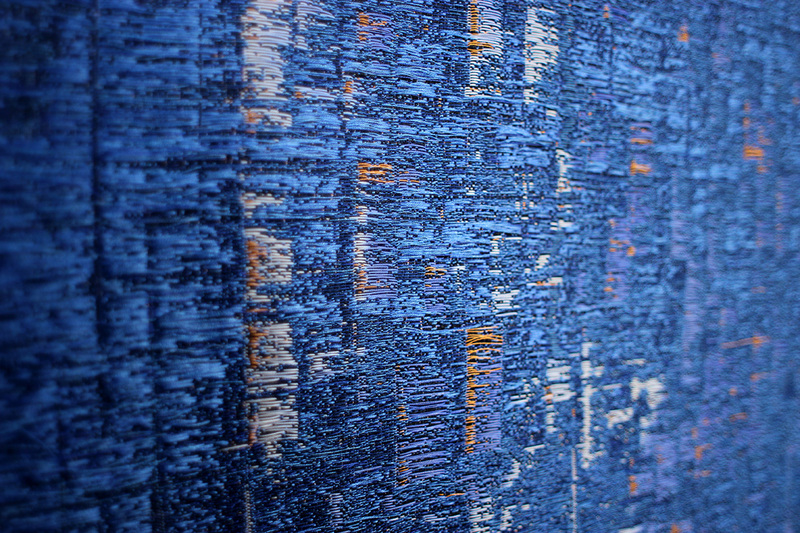 It listens into the 2.4 GHz channels of Wi-Fi and when data is transmitted the tapestry colours subtly change.The technology making the colour change is thermochromic inks which are heated using conductive threads – similar to the work of running plaid work of Maggie Orth. The work also contains aspects of Dunne’s Hertzian Tales . Wifi Tapestry from R Vijgen on Vimeo.